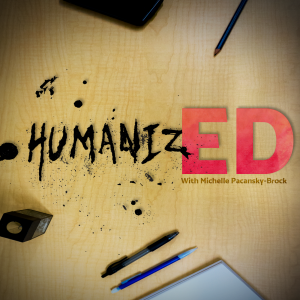 Teaching & Learning Innovations at CI is proud to introduce the launch of the HumanizED podcast. This podcast hosted by Michelle Pacansky-Brock, tells the stories of diverse students and those who serve them. The episodes will delve into provocative topics and unveil marginalized voices, in hopes of fostering connection and empathy through dialogue. The first episode, On Being First, examines the stories of three first-generation college students: a 78-year old, retired research chemist and two current community college students. We invite you to listen to the first episode now. Listen to HumanizED on your favorite Podcast player and share your takeaways, reflections, and more on Twitter, Facebook, your blog, etc. with the hashtag #HumanizEDci. The next episode will be available sometime this spring.